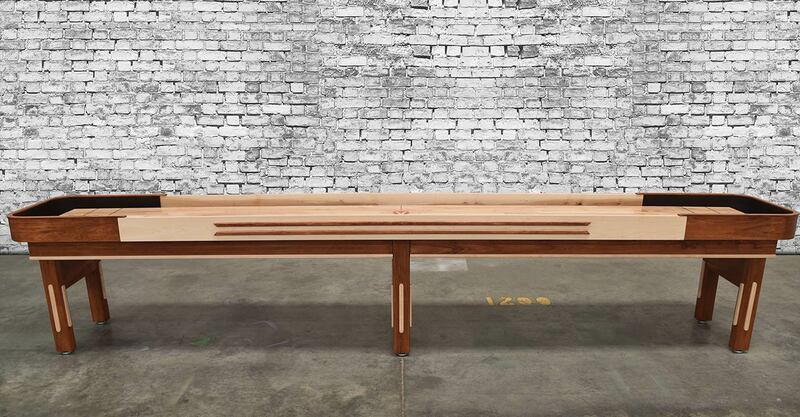 Venture's 12' Grand Deluxe Sport is a combination of the Challenger's sturdy, uni-body frame and the Grand Deluxe's design, creating a table that is both stunning and sturdy. 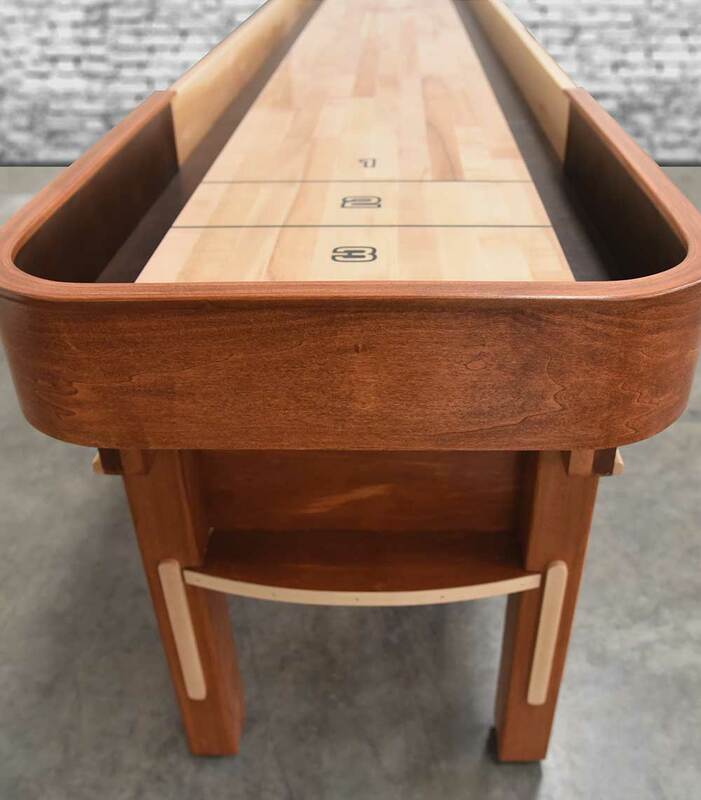 Custom designed and made in the US, the Grand Deluxe Sport pays tribute to the 1930s with its classic style and clean lines. 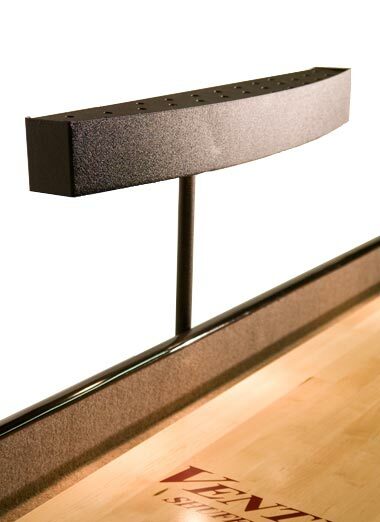 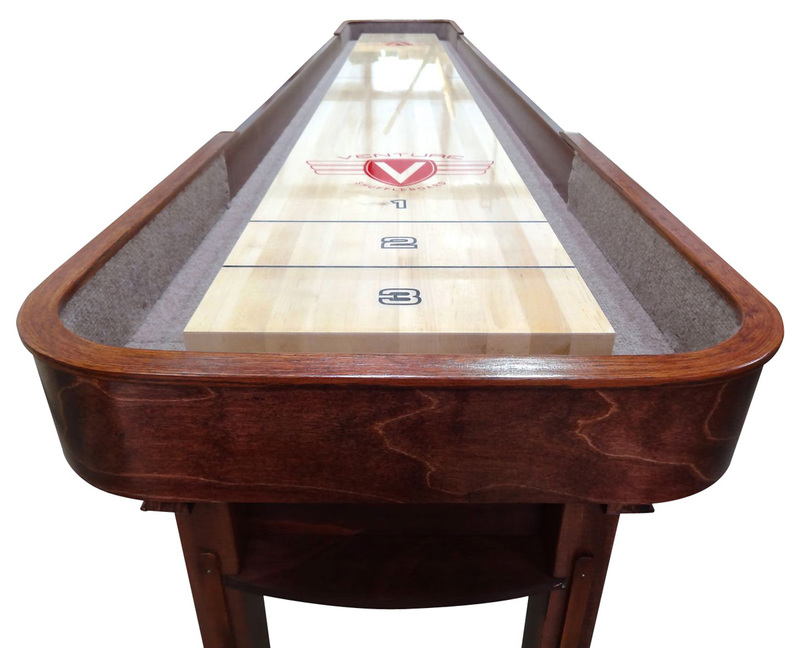 With a 1-3/4" thick playing surface, coated in Venture's exclusive hard clear synthetic lacquer, table gutters tongued and grooved directly into the frame, and a cabinet constructed of solid woods and real wood veneers, the Grand Deluxe Sport is built to last and shine. 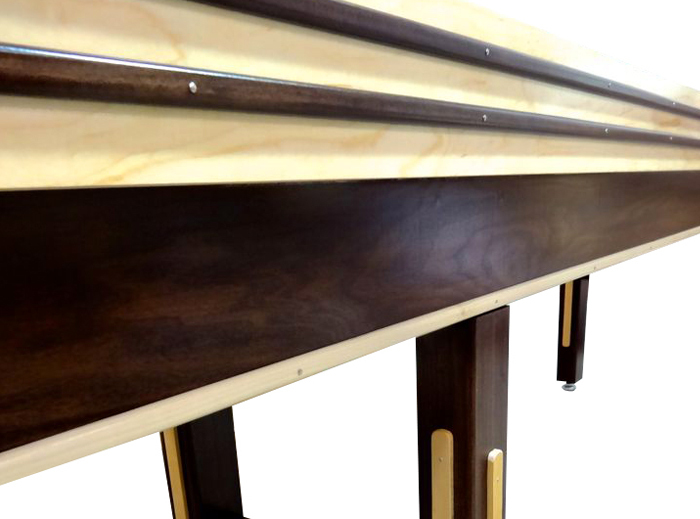 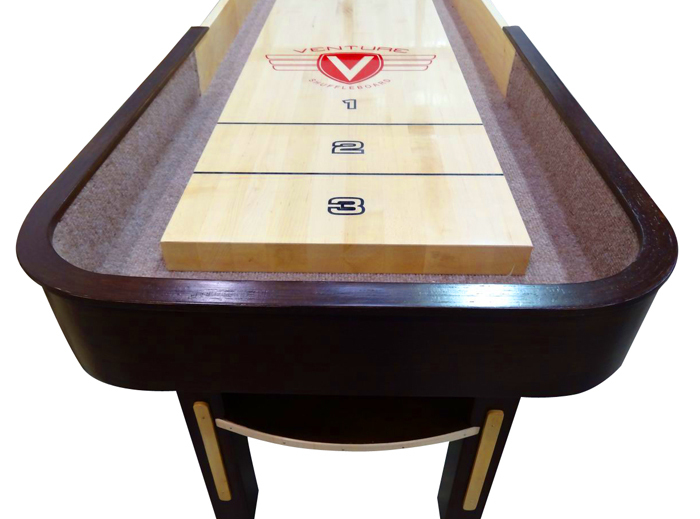 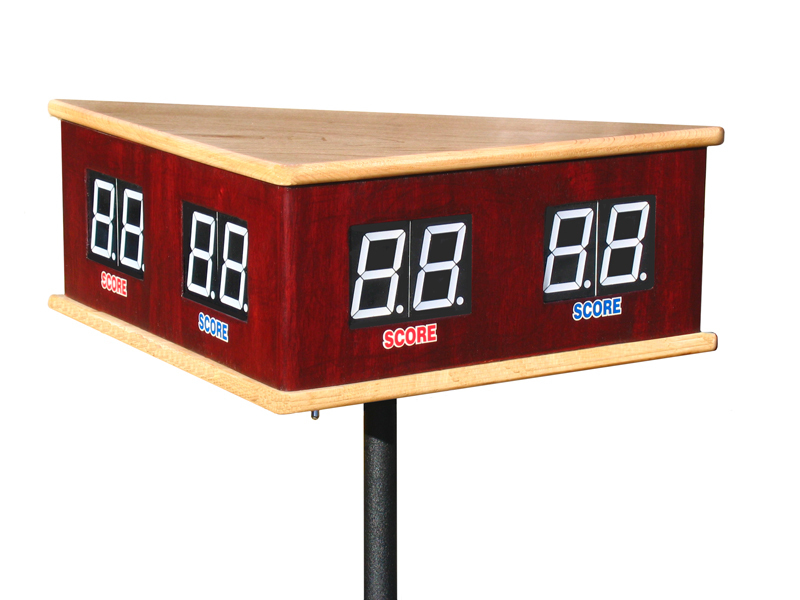 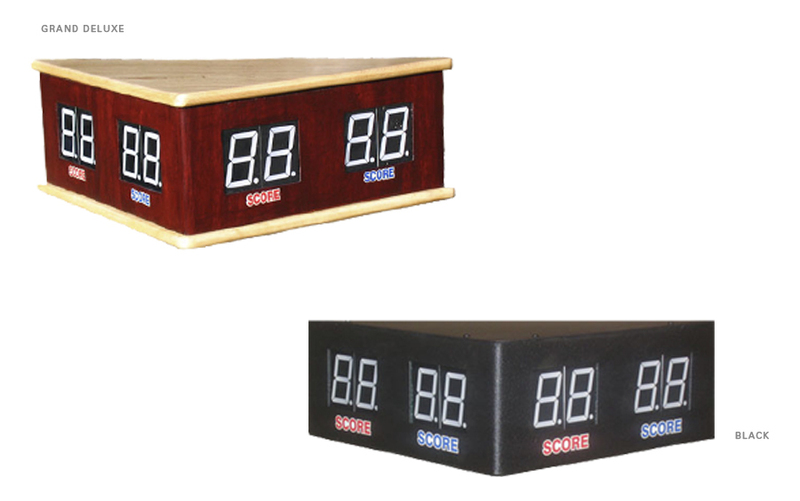 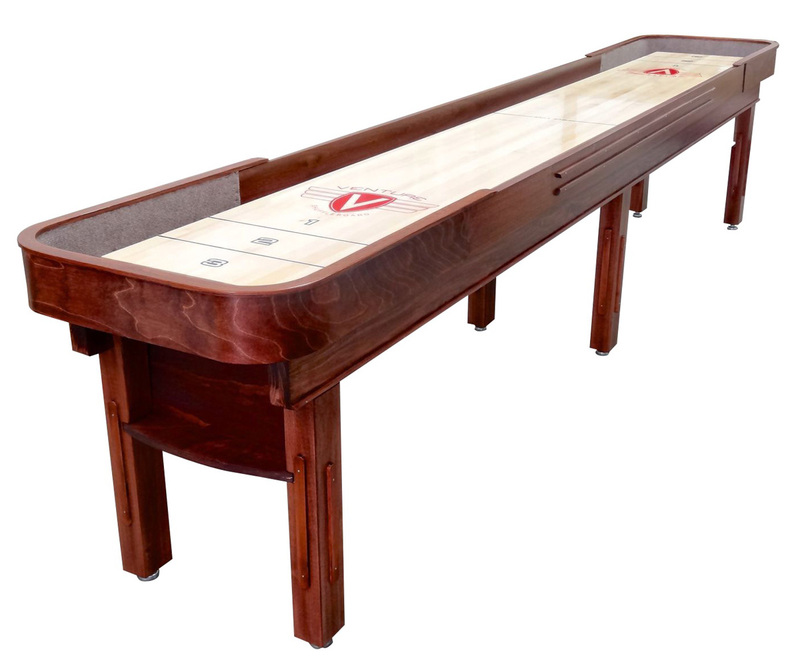 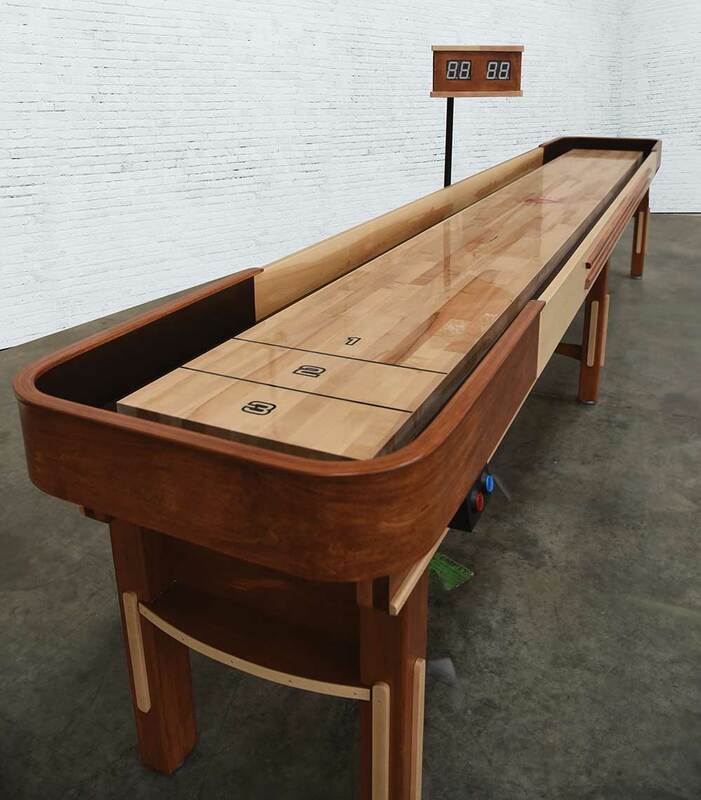 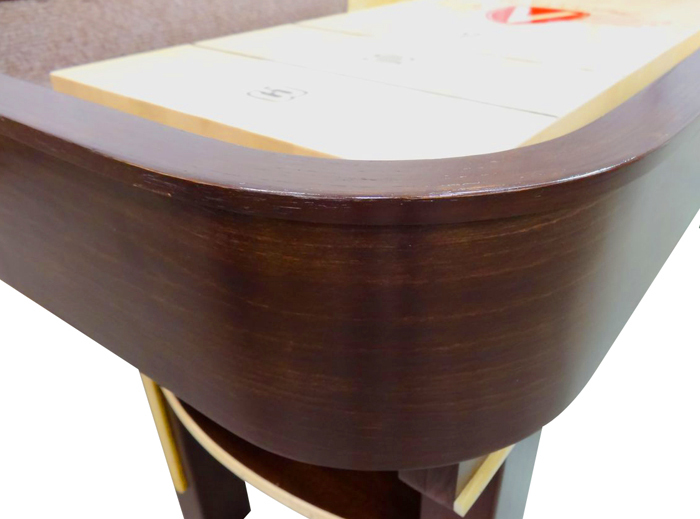 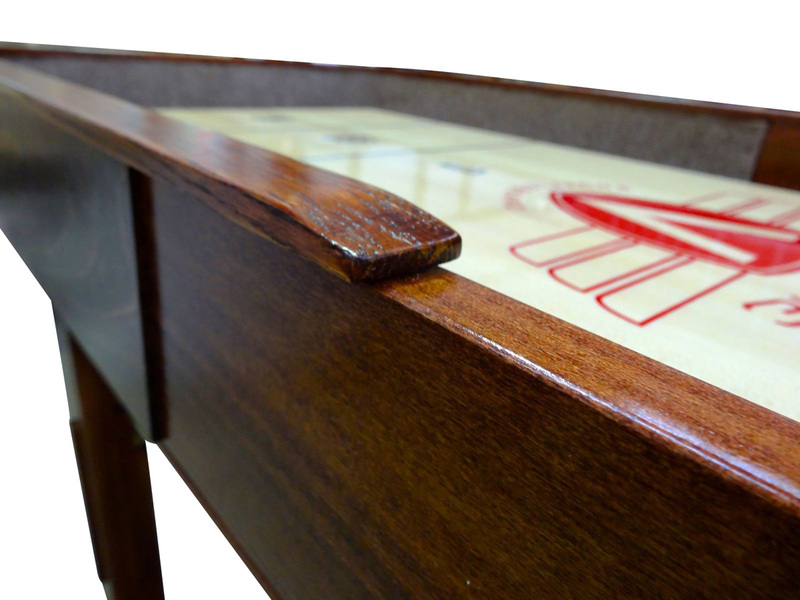 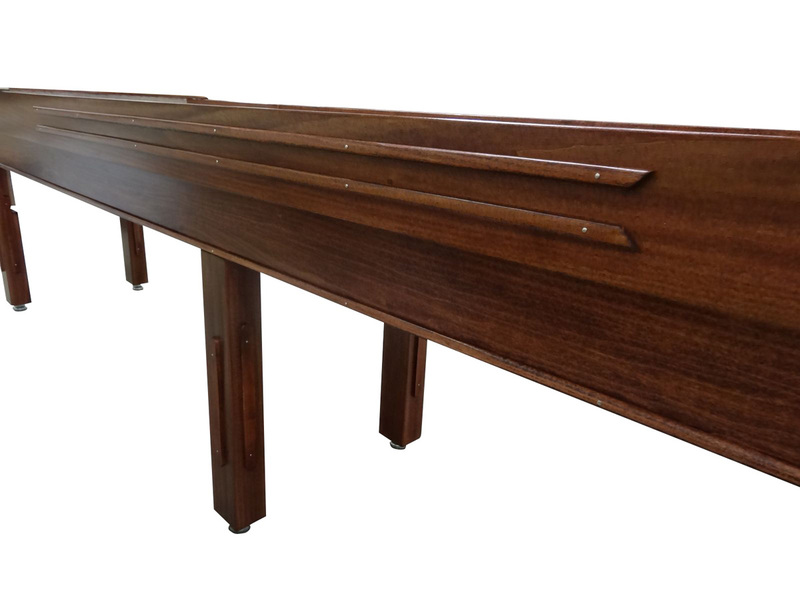 A choice of 3 standard stains, Stelter Mahogany, Chestnut and Dark Walnut, or a custom stain, means you're able to create a shuffleboard table that represents you and your game room. 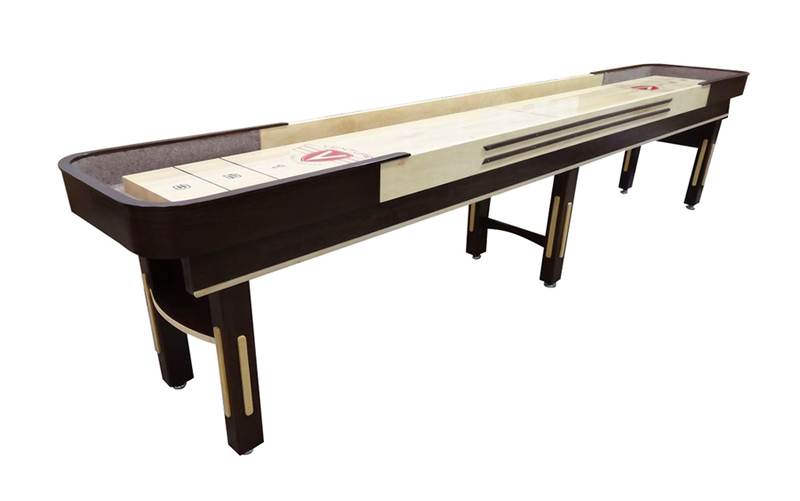 Bring classic American luxury to your entertainment space and order the Grand Deluxe Sport today!